So, you need a Business Process Management (BPM) solution, but where to begin? Technologies once considered staples in BPM are no longer sufficient enough in the age of process management due to new emerging technologies and trends. As a result, solution providers have had to shift their focus and develop tools that meet the needs of organizations dealing with increasingly large data and process volumes. The process of searching, evaluating, purchasing, and deploying a BPM tool is not as simple as it once was. There’s no such thing as a one-size-fits-all approach when it comes to BPM software. Solutions today come in a variety of different flavors, each features a particular set of capabilities, strengths, and drawbacks. Choosing the right vendor and solution is a complicated process—one that requires in-depth research and often comes down to more than just the solution and its technical capabilities. Here at Solutions Review, it’s our job to help simplify that process. To that end, we’ve created a variety of buyer resources and articles to speed the evaluation of enterprise technology solutions. 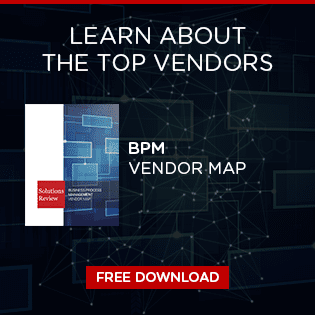 In our Business Process Management Buyer’s Guide, we offer readers a full BPM software market overview. This includes company and product profiles and best use cases for the top-24 providers, ten questions for prospective BPM buyers, and our bottom line analysis. Aside from our resources, we’ve provided you with five best practices you should take to help you make the best software choice for your organization. If your staff, employees, team, etc. won’t use the software – what’s the point of even implementing it? It’s important to communicate with everyone in the organization about information regarding the new BPM tool selected to be implemented. Tell your team why you picked it, what problem it solves, and how to use it effectively in your work environment. Maybe make some internal documentation that teaches your team about how to use the new system, to make sure everyone’s on the same page with it. When doing your research, it’s important to take note of little details (like features and capabilities) each platform offers. It’s common for your eyes to glaze over or for solutions to start seeming the same when you’ve been researching them for long periods of time. To avoid this, move beyond the big picture and start digging down to the specifics. Examine the small details such as design or layout. Does one system have a more intuitive and simple user interface? Will this one be more easy to train employees with over the other? Is there a feature you really like that one BPM tool has that another does not? Put aside your search for a minute – minimize all your open Internet tabs, save and close any spreadsheets you may have open, and discuss with your team what it is that you want the BPM solution to accomplish. What features do you really want or need? Do you need software that manages hiring first or do you want something that can integrate with your workflow management software? Finding a way to phrase what you want the most can help clarify your purpose. A pro’s and con’s list is extremely helpful, especially for those needing a visual aid or who work better by thinking out loud. Making lists, in general, can be one of the most effective ways to come to af final decision. Set it up so you have your top five BPM solutions (or whatever number you feel necessary) in one column, and in the other columns list how each solution either fits your business needs and/or what they are missing. 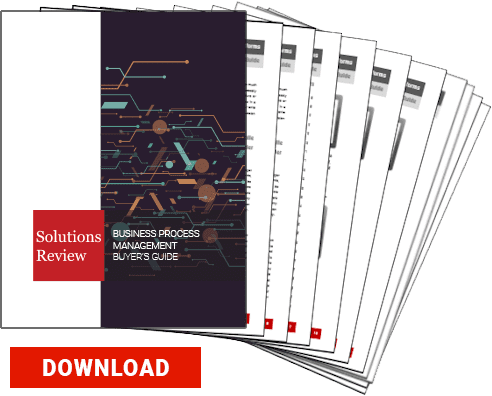 If you’re in the middle of an BPM software search and feel completely lost, we highly recommend making a pro’s and con’s list or using our buyer’s guide – which is perfect for beginners and well-seasoned professionals. When you’re getting started with a new software system, you’re bound to have questions and concerns. So ask. Just like your company, the software provider who make the tools you use want their products to work well for you. Don’t hesitate to suggest new features, either. A software company won’t always be able to accommodate requests (and you shouldn’t adopt a tool assuming that you’ll be able to change it). But many vendors take customer suggestions very seriously, and have a rapid product development cycle that allows for such flexibility.